Where do you find the Aladdin images at? 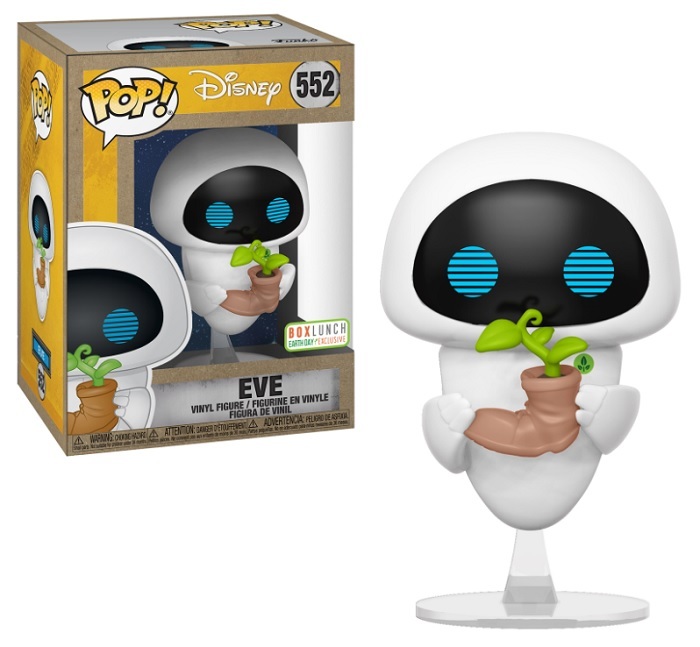 Also, I'm still wondering which retailer will have Bo Peep and a few other from Toy Story 4. Gamestop will have a Forky exclusive and Amazon will have a Buzz exclusive. google. the pics were sourced from overseas. first image is from ForbiddenPlanet's Aberdeen store. other one is from an Aussie collector who was able to purchase it early. as for the other known TS4 exclusives, action pose Bo Peep will be B&N. flocked Bunny will be Target. flocked Ducky will be FYE. Sheriff Woody holding Forky will be HT. I just looked on B&N for the exclusive Bo Peep, the only one that showed up was the old one. It's official. I have another hobby. does anyone know how to get the AT&T Exclusive Night King without resorting to ebay? can it be bought in a store anywhere? Stopped at Walmart last night for some things and checked the Pop section and found some good steals. They had a bunch of Funko on clearance for .88. Mainly Fortnite and Overwatch. Found the Eleven vs Demogorgon Funko Scene marked down to 8.88. I picked up the 6” Hulkbuster Pop from last years Infinity War line, marked down to 3.88. "Condition of box not guaranteed." I'm going to Gamestop in the morning to get the set of 8 of Toy Story 4, they're going right beside the 8 of Incredibles 2. 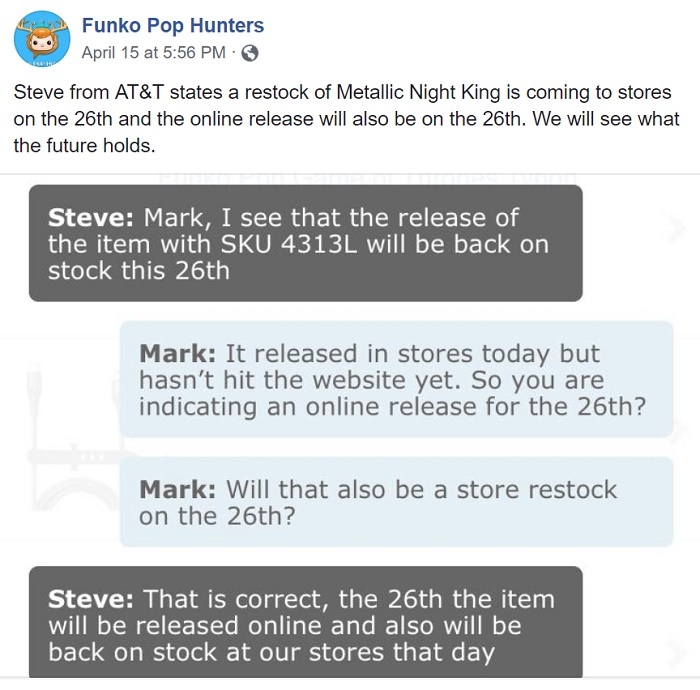 If you ever heard of that kid on youtube called TOP POPS, he claims AT&T were told a restock is coming....at some point.